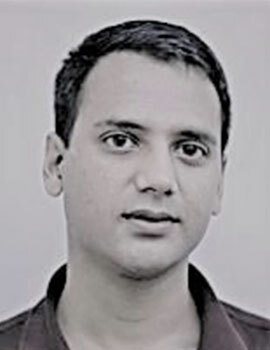 Saurabh Bhargava is an Associate Professor of Economics at Carnegie Mellon University, an academic affiliate of the Center for Health Incentives and Behavioral Economics (CHIBE) at the University of Pennsylvania, and the Founder and Co-Director of the BEDR Policy Lab. He was previously a Visiting Scholar at the Russell Sage Foundation and an adjunct faculty at the Booth School of Business at the University of Chicago. Saurabh’s behavioral economics research broadly explores individuals’ decision-making in a variety of economic and social contexts related to health insurance, benefit program take-up, retirement savings, criminal justice, unemployment, medical adherence, and employee reward programs. This research relies primarily on field experiments, in collaboration with large firms and government agencies, and analysis of administrative data to understand the behavior of low-income and employee populations and to generate insights into optimal program and policy design. A secondary line of research involves data-driven investigations into the determinants of happiness and emotional well-being. Saurabh has consulted and collaborated with government agencies, social policy organizations, and private firms, including the IRS (EITC Office), Department of Justice, state of Pennsylvania workforce agencies, Allegheny County Pretrial Services, and several Fortune 500 companies. His work has been published in journals such as JAMA, The Quarterly Journal of Economics, The American Economic Review, Psychological Science, and NEJM Catalyst. Prior to starting his academic career, Saurabh worked at McKinsey & Co. He holds an AB degree from Harvard University and a PhD in Economics from the University of California, Berkeley.